PT Bahana Pembinaan Usaha Indonesia (Persero) - BPUI or referred to as "Bahana Group" is an Indonesian state-owned enterprise (BUMN) that is involved in financial and investment services industry. Bahana Group was formed in 1973 to provide investment banking, securities trading and brokerage, venture capital, asset management and office building management. 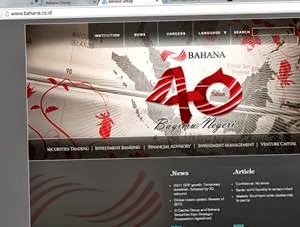 Bahana Group is state-owned that does not conduct any Initial Public Offering (IPO), where the Company’s shares is 100% owned by Government of Indonesia. Based in Jakarta, Bahana Group now has directly-owned 6 subsidiaries, namely PT Bahana Artha Ventura (running business in venture capital), PT Bahana Securities (investment banking, securities trading brokerage), PT Bahana TCW Investment Management (asset management), PT Grahaniaga Tata Utama (property), PT Bahana Mitra Usaha (finance consulting), and PT Bahana Mitra Investa (finance consulting). In term of financial positions, Bahana Group booked total operating revenue of Rp 633.92 billion in 2014. This total operating revenue reflected a 2.53% down as compared with Rp 650.40 billion in 2013, according to PT Bahana Pembinaan Usaha Indonesia (Persero) Annual Report 2014 as cited by JobsCDC.com. In term of profit, Bahana Group's total net profit in 2014 declined by 10.57% to Rp 106.97 billion as compared with total net profit in 2013 amounted to Rp 119.62 billion. Female, with the maximum age of 27 years old. Previous experience as Call Center or Customer Service. Strong persuasive, communication, and interpersonal skills. Responsible, adaptable, and quick to learn new things. JobsCDC.com now available on android device. Download now on Google Play here. Please be aware of recruitment fraud. The entire stage of this selection process is free of charge. PT Bahana Pembinaan Usaha Indonesia (Persero) - Call Center Bahana Group February 2017 will never ask for fees or upfront payments for any purposes during the recruitment process such as transportation and accommodation.